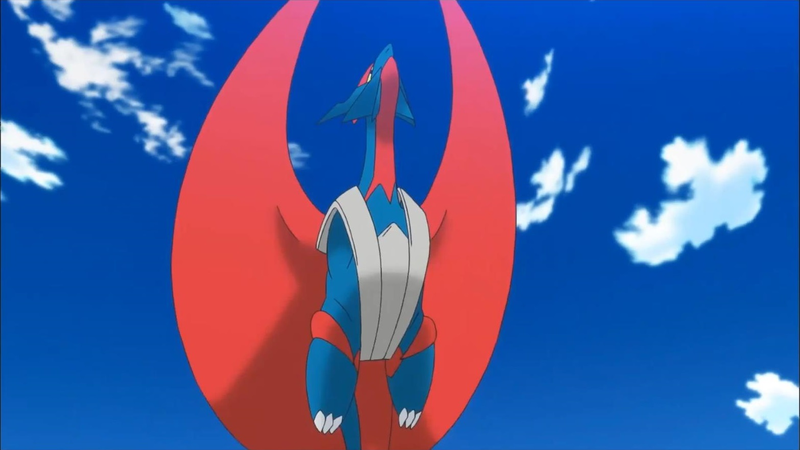 Earlier this month, The Pokémon Company International announced the rules for the next Video Game Championship Series format, bringing the controversial mega evolution and a much wider selection of Pokémon back into tournament play. With updated mega evolutions, Z-moves and a slew of competitive staples returning to the fold, 2018 will give players more room to innovate while also adding some stability to last season’s chaotic metagame. Many players have already started practicing for the new format by playing on the Battle Spot Doubles online ladder, but questions remain about whether key legendary Pokémon will be available in the Alola region. What players are certain about, however, is the return of the mega evolution mechanic. Since its introduction during the 2014 competitive season with the release of Pokémon X&Y, these one-time evolutions have split players into those that like them and those that think they’re unhealthy for the game. The latter camp, which includes many veteran players who started competing before megas existed, believe that it constrains team building. They also believe that boosting a Pokémon’s strength in a game to such high levels for more than a single turn (like Z-moves do) makes them too useful to ignore. Mega Kangaskhan is a good examples of this, thanks to its devastating power and ability to take away a Pokémon’s turn with Fake Out. This, along with its good bulk and variety of coverage moves, allowed it to fit onto almost any team from 2014 to 2016 and make it significantly better. Game Freak has taken steps to acknowledge that they may have gone too far with mega Pokémon the first time around. The other side, however, believes that megas make team-building easier, as it gives players a foundation to start with. By knowing that many megas will always be fairly strong tools, they are both easy to build teams around and serve as great filler options when players aren’t quite sure what else to include. They also believe that Z-moves will help non-mega Pokémon keep pace with their boosted brethren. Regardless of right and wrong, Game Freak has taken steps to acknowledge that they may have gone too far with mega Pokémon the first time around. Many abilities that make some mega Pokémon busted, such as Kangaskhan’s Parental Bond or Salamence’s Aerialate have been nerfed to do less damage. Also, mega Pokémon now get their new form’s speed stat and ability on the turn they mega evolve, as opposed to having to wait until the next turn. This makes some mega Pokémon more useful and might encourage their use over the nerfed mega evolutions. Another major factor for next season’s metagame depends on the TMs and Move Tutors present Ultra Sun and Ultra Moon. Tutors are especially important, since it gives some of the game’s best moves to excellent Pokémon that don’t learn them naturally or through breeding. It’s also important to note that players don’t even know what tutor moves Pokémon from the Alola region will be able learn. Just as an example, giving Tapu Fini access to speed control in the form of Icy Wind, would give an already useful Pokémon even more utility. And imagining what strange moves the game’s various Ultra Beasts will learn is an even more intriguing prospect. Assuming move tutors are similar to those in Omega Ruby and Alpha Sapphire, VGC 18 might look quite a bit like the current Battle Spot Doubles metagame. VGC player @fallingmindz created a list of popular archetypes and teams from the fourth season of Battle Spot Doubles. These teams, many of which are twists on old favorites from past VGC formats, will likely serve as a jumping off point for many players at the start of the format. And while having these defined archetypes might make the casual observer think next season could turn stale, competitors have so many options to build teams with that creativity will still be a regular sight. However, as more and more players start innovating and testing new combinations, it’s impossible to say what the metagame might look like. Perhaps CHALK (the infamous “Cresselia, Heatran, Amoonguss, Landorus, Kangaskhan” archetype that took 7 of the top 8 spots during the 2015 World Championships) will make a comeback or something not even on this list will take the scene by storm. Regardless of the result, playing competitive Pokémon after the new format goes into effect on January 1st should reinvigorate VGC with creativity and excitement.